Written By Rev. Henry Stevens. 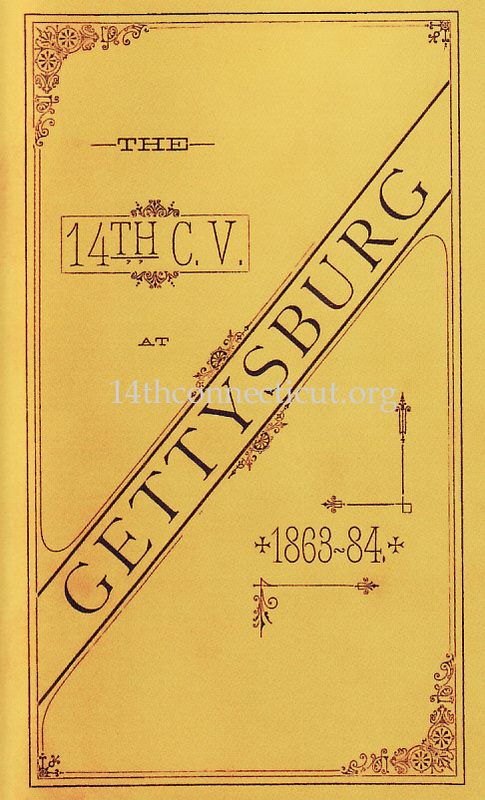 “The organization of the Fourteenth Regiment began under the order promulgated May 22, 1862, to furnish Connecticut’s contingent of the fifty thousand men called for by the War Department at Washington to go into “Camp of Instruction” at Annapolis, Md. Recruiting for the regiment began at once, but progressed slowly until, in July, after the Union reverses on the Peninsula, the President called for three hundred thousand volunteers for three years or the war, when it received a tremendous impulse and the regiment filled up rapidly, being the first one to complete its organization under that call. 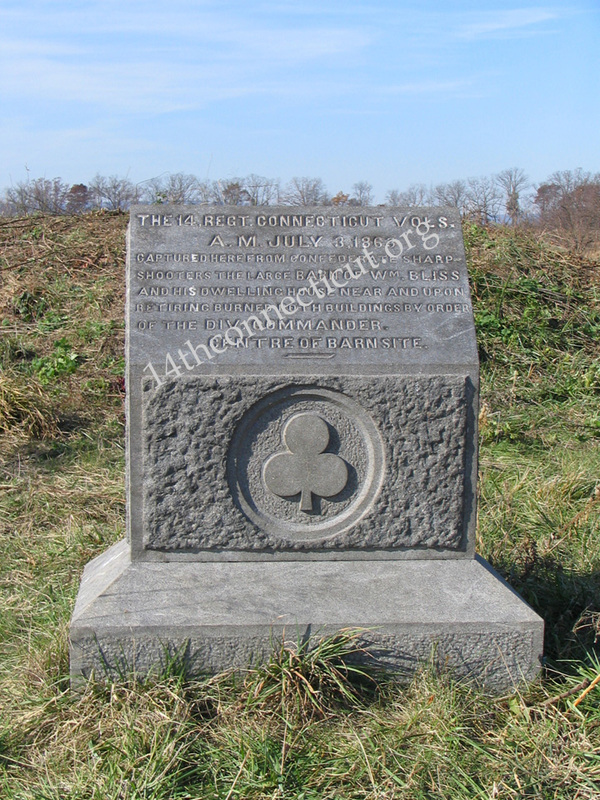 It was recruited from the State at large, having its rendezvous, named “Camp Foote,” at Hartford. August 23, 1862, the regiment was mustered into the United States service, and on the 25th, one thousand and fifteen strong, under command of Dwight Morris, left the State, reaching Washington and crossing the Potomac to Arlington, Va., on the 28th. The next morning it went by forced march to Fort Ethan Allen, near Chain Bridge Va., remaining there holding the defenses during the alarm caused by the second battle of Bull Run, until September 7th, when, having been taken with two other new regiments to form the Second Brigade of the Third Division, Second Army Corps, Army of the Potomac, it entered on the Maryland campaign, the whole army moving in pursuit of Lee. On the 17th this new regiment was plunged into the battle of Antietam, losing heavily, but winning the encomium of “behaving like veterans.” The scene of its engagements was the Roulette farm and near the “Sunken Road,” where it was engaged sharply for several hours, and under fire all that day and the following day. September 22d the regiment marched to Bolivar Heights, near Harper’s Ferry, Va., remaining there for picket and special duty until October 30th, when it went down the Loudon Valley, Va., reaching Falmouth, near Fredericksburg, November 17th, and on the next day was sent, with the brigade, to Belle Plain, on the Potomac, for guard and fatigue duty. December 6th it rejoined the division at Falmouth, and on the 11th moved towards Fredericksburg, crossing into that city on the 12th. On the 13th, being in the division that first charged the famous stone wall at the foot of Marye’s Hill, it left a heavy tribute of blood and bodies of precious men on the sanguinary field in front of the latter. The regiment was among the last troops to leave Fredericksburg on the evening of the 15th, returning to the old camp about two miles north of Falmouth. Here it remained during the winter and spring of 1863, doing picket duty along the Rappahannock, opposite Fredericksburg. The losses of the regiment were greatly increased during the winter by the death, or discharge for wounds and disabilities, of many officers and men. April 28th the regiment moved with the army on the Chancellorsville campaign, in which it again saw hard service and lost seriously. At night, May 2d, it was sent with the brigade to the right to check the enemy and hold the ground after the disaster of the Eleventh Corps. 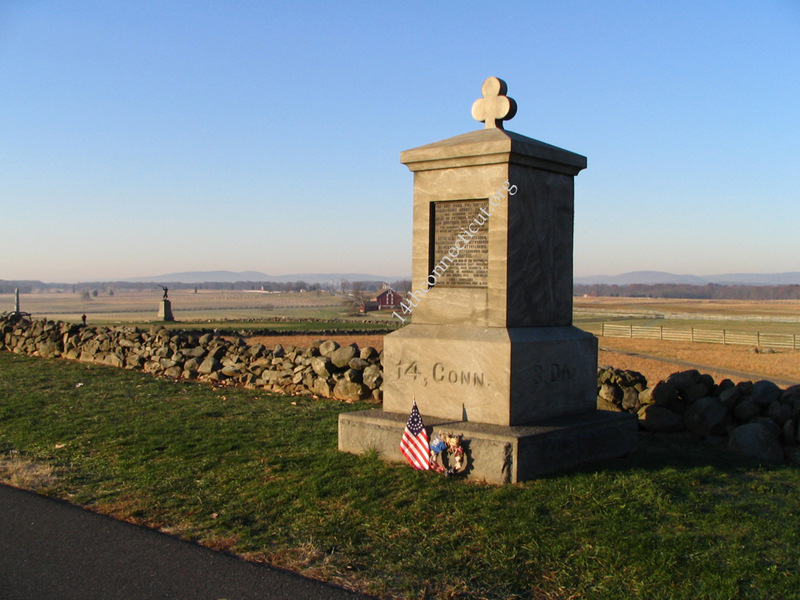 Returning to camp near Falmouth on the 6th, the regiment staid there until June 14th, when it started on what proved to be the memorable Gettysburg campaign. July 1st Gettysburg was reached, and on the 2d the regiment was placed upon the ridge where, at the center of the Second Corps, its brave men, the body now reduced in size to a battalion, with their sturdy pluck and Sharps’ rifles materially assisted in repulsing Longstreet’s grand charge on the afternoon of the 3d, capturing five battle flags and more that two hundred prisoners. During the forenoon of that day eight companies of the regiment captured the large brick barn and the dwelling-house of William Bliss from the enemy’s sharpshooters, and held the buildings until ordered to burn them, losing several men. This deed was a brilliant and perilous one, as the buildings were nearly one-half mile in front of our line, and the men were exposed, almost from the start, to a heavy fire from sharpshooters in the buildings and from skirmishers and reserves. 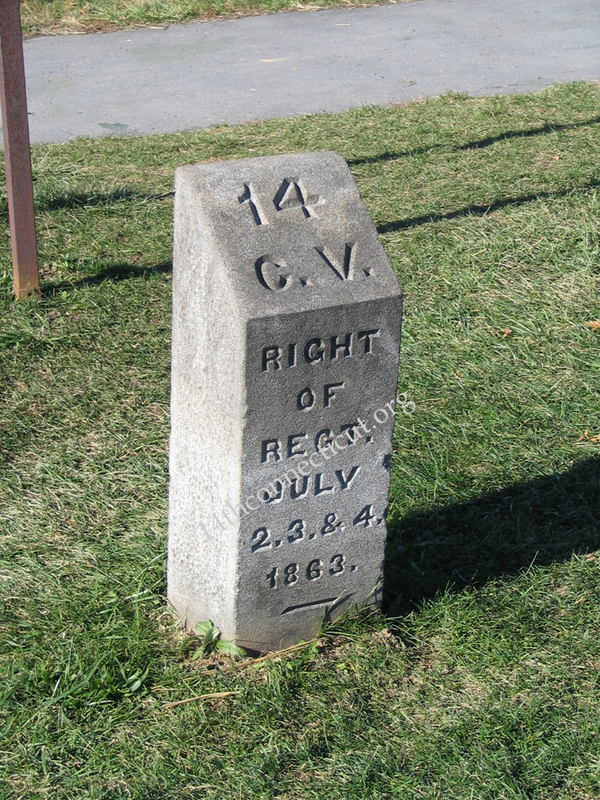 July 6th the regiment started with the army in pursuit of Lee; was engaged slightly at Falling Waters, near Williamsport, Md., on the 14th; and then, by way of Harper’s Ferry and Loudon Valley, proceeded to the vicinity of Catlett’s Station, Va., and along Elk Run, Cedar Run, and near Bristersburg remained doing picket duty until September 12th, except while on an expedition to Hartwood Church, August 31st to September 3d, to support a force designed to operate against rebel gunboats on the Rappahannock. 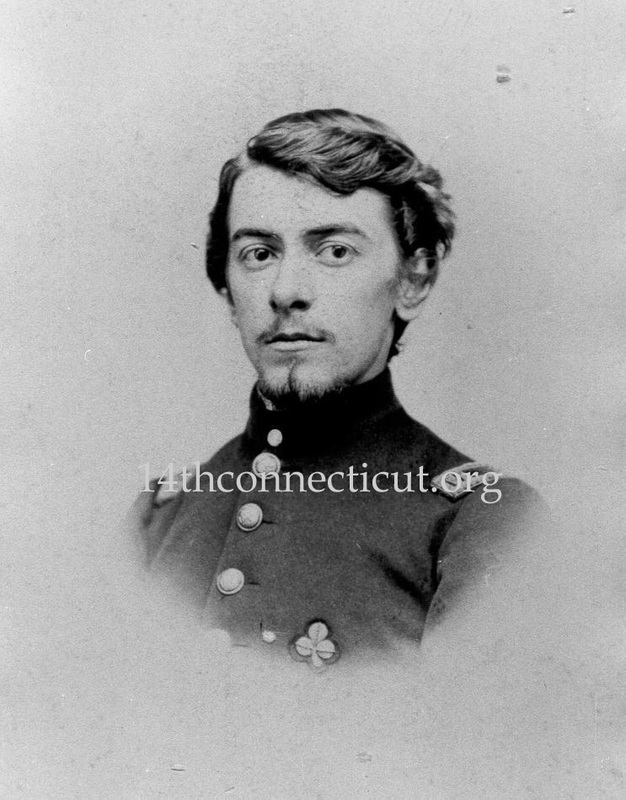 August 6th the regiment received its first installment of recruits, conscripts, and substitutes – the first-fruits of the draft in Connecticut. In a few days, more came, in a few months the depleted ranks of the Fourteenth were swelled to the proportions of a large regiment. 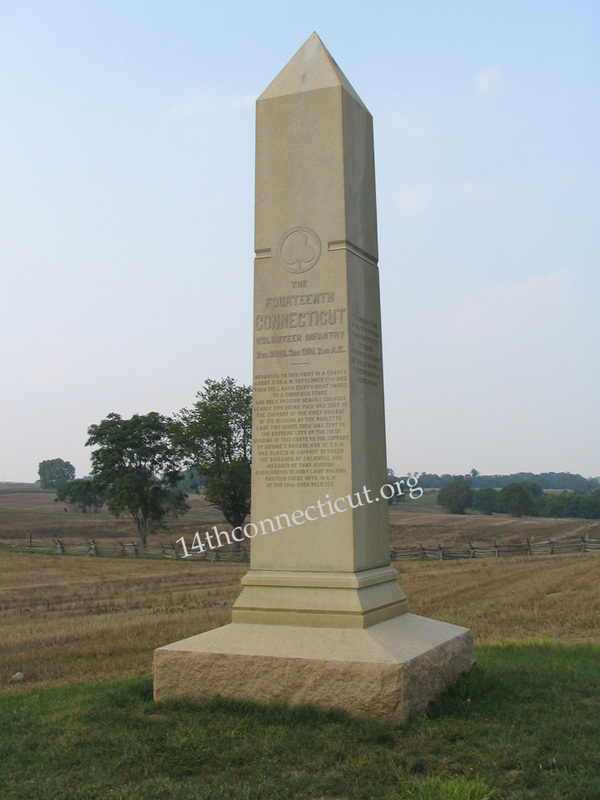 September 13th the regiment crossed the Rappahannock and moved to Culpepper, Va., and on the 16th advanced by way of Cedar Mountain to the Rapidan, where it did advance picket duty until October 10th. 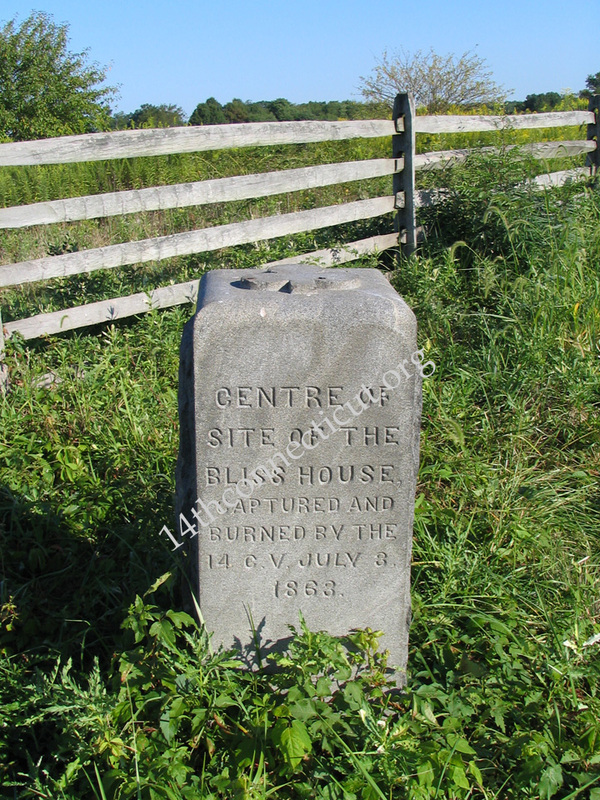 While at the latter place (September 18th) two deserters from the regiment (substitutes and “bounty jumpers”) were shot in presence of the whole division. The army moving northward to intercept the enemy in an attempt to reach Washington, on October 14th the regiment was engaged in a skirmish at Auburn, Va., and later in the same day in a sharp fight at Bristoe Station. Until October 20th, it lay on the north bank of Bull Run, being engaged in a slight skirmish at Blackburn's Ford on the 17th. 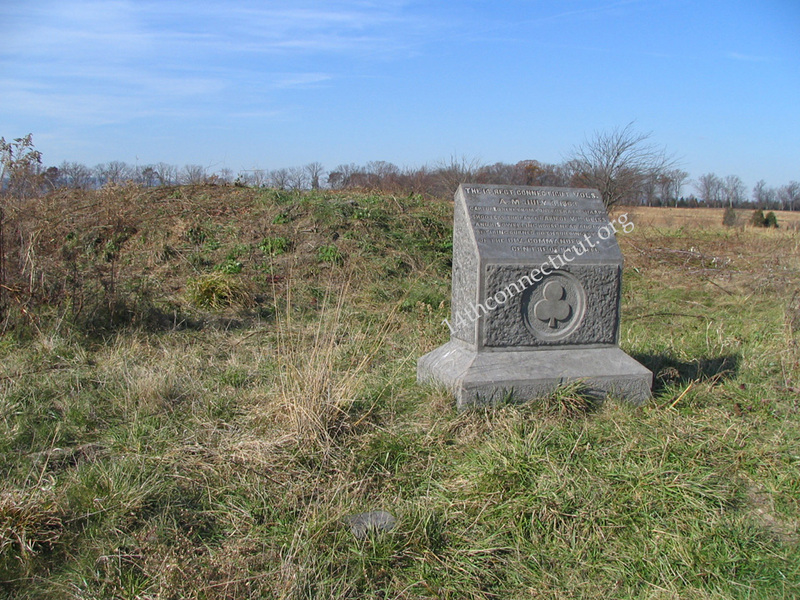 Returning southward, from October 23d to November 7th camp was near Warrenton, and from November 10th to 26th near Stevensburg, Va. From the latter date to December 2d, the regiment was on the Mine Run campaign. On the morning of November 30th it was under orders and fully expected to engage in one of the most desperate charges the men ever contemplated. So hopeless did it appear that the men, not expecting to survive it, pinned upon their blouses papers upon which they had written their names for their identification. Fortunately and mercifully the order to advance was withheld. December 2d the regiment returned to the former camp near Stevensburg, remaining in that vicinity until the 29th, when winter quarters were fixed at Stony Mountain, a point of observation near the Rapidan, far in advance of the main line of the army. February 6th, 1864, the regiment was engaged in the battle of Morton‘s Ford. The movement involved wading the icy waters of the Rapidan, charges under fire of artillery and infantry, and a hand-to-hand fight in the dark. The expedition was organized as a diversion to aid a cavalry movement to rear of the enemy, but was mismanaged. The Fourteenth fought splendidly, losing just one-half the number of men lost by the whole division. When the army was reorganized in March the regiment became a part of the Third Brigade, Second Division, Second Army Corps. May 4th the Rapidan was crossed, and the great forward movement of the army began; and from May 5th to June 10th, the Fourteenth was passing over the “dark and bloody ground” of the Wilderness campaign, engaged at Wilderness, Laurel Hill, Spotsylvania, North Anna River, Tolopotomy, and Cold Harbor, losing daily valuable officers and men, experiencing the hardships, labors, perils, and sufferings incident to that unparalleled series of bloody struggles, and proving themselves veterans of the first class. June 14th the James River was crossed, and Petersburg reached on the 15th, from which date to early August the regiment was occupied in connection with various siege operations in front of that place, taking part in a movement to Prince George Court House June 27th to 29th, and an expedition to Deep Bottom July 26th to July 30th, changing camp continually. August 12th to 21st it participated in the second expedition to Deep Bottom, involving a hard and trying march and in mid-summer‘s heat and some severe skirmishing. With but a few hours rest after returning to Petersburg the command moved for the destruction of the Weldon Railroad. August 24th the men were busy destroying the road, and on the 25th were engaged, at Ream’s Station, in one of the hottest fights the Fourteenth ever experienced, losing some of their bravest and best. In this engagement the regiment had the singular experience of being under fire from three directions, and of fighting some the time from the reverse side of their own breastworks. That night the troops returned to the entrenchments near Petersburg, where the regiment remained, under artillery fire daily, doing hazardous picket duty close to the enemy’s works, building or strengthening breastworks, etc.- except while on an expedition to Prince George Courthouse, September 15th to 24th - until October 25th to 29th, when it was engaged in a spirited action at Hatcher‘s Run (Boydton Plank Road), in which some excellent fighting was done. In early November the regiment was on duty near Fort McGilvery, moving on the 29th farther to the left to relieve a part of the Ninth Corps, and on the 6th of December still farther on to relieve a portion of the 5th Corps. From December 13th for a few weeks the Fourteenth had a period of comparative rest, encamped near Fort Clark, February 5, 1864, the men were ordered out their comfortable quarters to participate in another action at Hatcher‘s Run, remaining on the field until the 10th, when they went into camp some miles to the left of their recent camp. On the 25th of March the regiment, with three other regiments of the brigade, all under command Lieutenant-Colonel Moore of the Fourteenth, made a demonstration at the left of the Second Corps line, capturing the enemy‘s works on the farther side of Hatcher’s Run, and about seventy prisoners. This movement was intended as a diversion at the time of the rebel attack upon Fort Steadman. There followed a rest of only two days and then the brave old “Fighting Fourteenth,” that had known little else than campaigning and fighting, entered on it’s final campaign, the movement of the Army of the Potomac that was to extinguish the Rebellion. The march was hard and pressing, the discipline strict, and the rations very scanty, but hope that the end of the war was near kept up the spirits of the men. They were at the actions at High Bridge and Farmville, April 7th, and on the 9th lifted up their voices with the victorious rejoicings that the Rebellion was crushed and their battles were over. From April 14th to May 2d was spent at Burksville, Va., guarding captured stores, and then the homeward march began, the Fourteenth having the honor of leading the glorious Second Corps while passing through the late rebel capital Richmond, on the 6th. The men passed with strong emotions the places of former dreary imprisonment of some, scenes of many of their former bloody battles on the route to and at Fredericksburg, and on the 15th went into camp near Alexandria. On the 23d the regiment took part in the “Grand Review” of the armies at Washington. 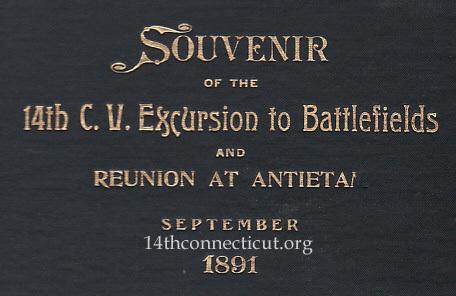 On the 30th the recruits were transferred to the Second Connecticut Heavy Artillery, and on the 30th the original members were mustered out of the United States service, near Alexandria. June 1st the joyous journey home began, and on the 3d Hartford was reached, where a grand ovation awaited the body. May 10th witnessed their muster-out of the State service, with a record as to battles fought, losses met, and hardships endured, unsurpassed by many regiments of the Union army, and with the proud consciousness that they had served their country in the hour of her peril and had helped to save the Union. 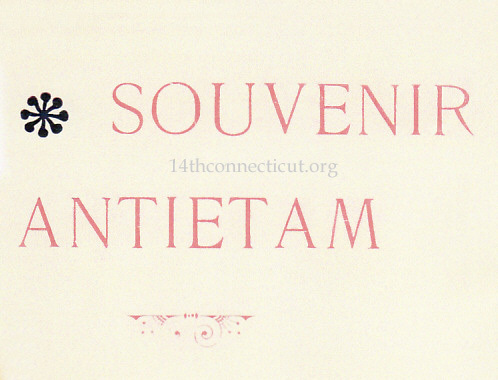 The service of the Fourteenth was exceptional among the Connecticut infantry regiments. Of these it was in the greatest number of battles, and in proportion to its numbers and the length of service lost much the largest percentage of men in killed, wounded, and died in the service. It was in thirty-four battles and skirmishes, some of the battles ranking as the greatest and most sanguinary of the war- and the Fourteenth was in the thick of them- while some of the skirmishes would rate as battles. The regiment never lost a color, but captured several colors from the enemy; lost comparatively few men as prisoners, though capturing many from the foe. For months the first State flag, rent by shell and bullet, was too much tattered to be unfurled, and the new flag with which the State replaced it (August 25, 1863) was nearly as badly wrecked before the regiment returned home. 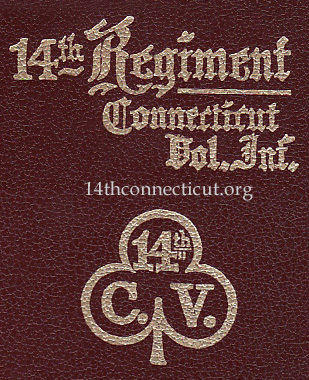 From: “Record of Service of Connecticut Men in The Army and Navy of The United States During The War of The Rebellion” Hartford, Conn. Press of The Case, Lockwood & Brainard Company. 1889.